Tuol Sleng Genocide Museum is the memorial site of “Security Office 21” (S-21) of Democratic Kampuchea (also known as the Khmer Rouge regime) and located in what was then the abandoned city of Phnom Penh, whose citizens had been evacuated on 17. April 1975. S-21 served as the central hub of a vast prison system throughout the country and was used throughout the period as a secret facility for the detention, interrogation, torture and extermination of those deemed “political enemies” of the regime. Due to a policy of guilt-by-association, at times whole families were detained at the center. Very few inmates were released out of the prison during the years 1975 and 1979. Only 12 former inmates survived the opening of S-21 when Phnom Penh was liberated. Four of them were children. Approximately 1,720 Khmer Rouge actors worked in and for S-21. Several hundred of them were general workers, including people who grew food for the prison. The rest formed the internal workforce, including administration, guards and interrogators. The prison had once been Preah Ponhea Yat High School, later renamed Tuol Svay Prey. Built in 1962 it was situated on a 600 meter by 400 meter parcel of land. Behind the school fence were two wooden buildings with thatched roofs, one of which had been Tuol Sleng Primary School. Together these buildings formed the S-21 prison. The combined campus was used by the Khmer Rouge after the conquest of Phnom Penh as a security center for the systematic interrogation of inmates. Classrooms were turned into prison cells and, torture chambers. The entire campus was surrounded with electric barbed wire Barbed wire braid against the outer aisles of the individual parts of the building should prevent desperate prisoners from committing suicide. On the ground floor of building A, one classroom was divided into two rooms to detain the high ranking of Khmer Rouge who were accused as the traitors. Anyway in building B, C and D, classrooms on the ground floor were divided into small cells, measuring 0,8 x 2 meters each which were made by brick and on the first floor by wood. The small cells were designed for single prisoners. The second floor included even larger rooms that held up to 40 or 50 prisoners. One room served as the office of S-21’s chief, Duch and another as an office for documentation and general administration. Nearby houses were used for interrogation and torture. Between 1975 and 1979, 15,000 – 20,000 people were imprisoned from all parts of Cambodia, among others, members of the Khmer Rouge, who were considered as traitors. Approximately 1,720 people were working for the torture center. S-21 was controlled by the Ministry of Defence, chaired by Son Sen. In Lun (alias Nath) was the first chief of S-21, followed by Duch in 1976. Other people also known to have worked at the center include Khim Vat (alias Hor, deputy chief of S-21), Mom Nai (deputy chief of S-21), Peng (chief of guards), Suos Thy (chief of the administration unit), and Hoeung Song Hour aka Pon (interrogator). S-21 had several satellite sites. These included the colonial-era Prey Sar prison (S-24) in Dangkor district, Phnom Penh, which was used as a reeducation center, and Choeung Ek, a large execution site 15 kilometer west of Phnom Penh city. After their arrival in S-21, prisoners were photographed and forced by guards to divulge information about themselves and their networks. They were required to give detailed biographies, beginning with their childhood and ending with their date of arrest. Prisoners were forced to undress. All of their personal belongings were confiscated. Next they were taken to their cells. Those who were housed in small cells were chained to the floor. In the large rooms without walls, prisoners were shackled together using a series of iron rods. The prisoners slept with their heads in opposite directions to prevent communication. Talking among prisoners was forbidden. Prisoners slept on the bare floor without mats, mosquito nets, or blankets. All prisoners had to follow strict rules; otherwise, they were punished by flogging or electric shock, and the victims were not allowed to scream out in pain. Any action by prisoners even sitting up, turning over or relieving themselves required the permission of the Khmer Rouge guards. The crowded and poor hygienic conditions of the prison led to lice infestations and serious diseases. At 4:30 am each day, prisoners were made to strip for inspection. The guards would check to see whether shackles were loose or if prisoners had hidden any objects they could use to commit suicide. Over the years, several prisoners managed to kill themselves, so the guards were very careful in checking the shackles and cells each day. Most of the prisoners at S-21 were accused of betraying the party or the revolution, or of working for traitorous cadres who had already been arrested. With the passage of time, the Khmer Rouge leaders became increasingly suspicious and distrustful of their own cadres and soldiers. Some of the people who worked in S-21 also became prisoners. They „confessed“ to being lazy in preparing documents, to damaging machines and other equipment, or beating prisoners to death without permission when assisting with interrogations. The interrogators at Tuol Sleng forced detainees to confess to the accusations with which they were charged. Often prisoners had no idea why they had been arrested, yet they were forced to confess their „crimes“ through torture. Among the forms of torture used were electric shock; submersion in water vats; and suspension from gallows with hands tied by rope behind the back until the onset of unconsciousness. After confessing, prisoners were marked for execution. Those who survived their torture were killed initially nearby and later at the killing field of Choeung Ek, just outside the city. Often, prisoners were made to dig their own graves or the graves of other prisoners before being killed themselves with rudimentary weapons. When the Khmer Rouge fell and the liberation forces entered the city, 12 people who had escaped execution, including 4 children, were found on the site of S-21. Only 4 of these survivors remain alive in 2016: Mr. Chum Mey, Mr. Bou Meng and Mr. Norng Chanphal, and his brother Mr. Norng Chanly, who were children at that time. Two other children are also thought to remain alive, but their names are not known as they were brought to an orphanage after the Khmer Rouge collapsed. Kaing Guek Eev (Duch) the former head of S-21, was charged, tried, and convicted by the Khmer Rouge Tribunal, formally known as the ECCC in 2010 for Crimes against Humanity and War Crimes and sentenced to life in prison. The other senior leaders are now on trial while, most others have died since 1979. 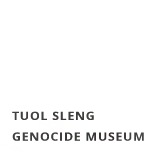 S-21 became the Tuol Sleng Genocide Museum soon after the liberation of the capital city by the United Front National Salvation of Kampuchea and Vietnamese troops in 1979. The Museum stands as a memorial site for victims of S-21. When the city fell in early 1979, S-21 head, Duch, managed to escape, but not before ordering the liquidation of all the prison occupants. However, he did not have enough time to destroy the comprehensive documentation housed at the prison, which now serves as evidence of the atrocities committed at the site. Paintings by one of the few survivors of S-21, Vann Nath (1946-2011), are on display at the Museum and document the torture and detention conditions from an eyewitness perspective. In addition, thousands of photographs of prisoners taken upon their arrival at S-21 are on display at the Museum. These photographs are extremely important to family members searching for those who disappeared under the Khmer Rouge regime. The skulls of victims were put on display in the shape of a Cambodian map. It was later dismantled, and the skulls have been properly buried or remain on display as forensic evidence in a glass cabinet at the Museum. Before being converted into a prison, the grounds of S-21 were two schools Tuol Sleng Primary School and Tuol Svay Prey High School. Four school buildings comprise the campus and are arranged in the form of an open rectangle around a courtyard. Classrooms were converted by the Khmer Rouge into prison cells and torture chambers. The entire compound was surrounded by electric barbed wire, and the open corridors of some of the buildings were enclosed with barbed wire, probably to prevent prisoners from escaping or from jumping to their deaths from the upper floors. High ranking officers were mostly situated in Block A, housed in single cells and chained to iron beds. Family members were chained in Block C in small cells measuring 0.8 meter wide and 2 meter long. Walls separating the cells were made of rough brickwork or wood partition. Due to the overcrowding of prisoners and the unsanitary conditions of the facility, many detainees in S-21 probably died of disease. Some of the internal divisions of the buildings of S-21 have been changed since being converted into a Museum and memorial site in late 1979. In Block B, cells have been removed in order to provide space to display photos of the thousands of torture victims who lost their lives at S-21. Many faces look emaciated and/or have bruises on them. One encounters the desperate and sad gaze of prisoners, along with the helpless eyes of children, when looking at these photos. In Block D, the farthest building from the entrance, the torture instruments used by interrogators in S-21 are on display. Those who survived the torture, were murdered nearby and later taken to the Choeung Ek Killing Field, and then murdered. Torture methods of the Khmer Rouge included electric shock and slow drowning in water vats. The prisoners were tortured until their tormentors were satisfied with their confession of crimes and networks. In the Courtyard of the Museum, the white rectangular concrete graves symbolise the last 14 torture victims found on the site. Next to the graves stands a gallows—once a piece of playground equipment—under which were placed by the Khmer Rouge large traditional water jars. Prisoners were hung upside down from the gallows, their heads dunked into the water to near drowning, as a means of extracting confessions. Today, the Courtyard is lined with fragrant native trees and shaded benches, recalling happier days when this area of the torture prison was a schoolyard for pupils.